Starting today, my long time collaborator Jory Burson becomes Bocoup’s new CEO. I am moving into a Research Director role to explore long-term open and inclusive technology development at Bocoup. 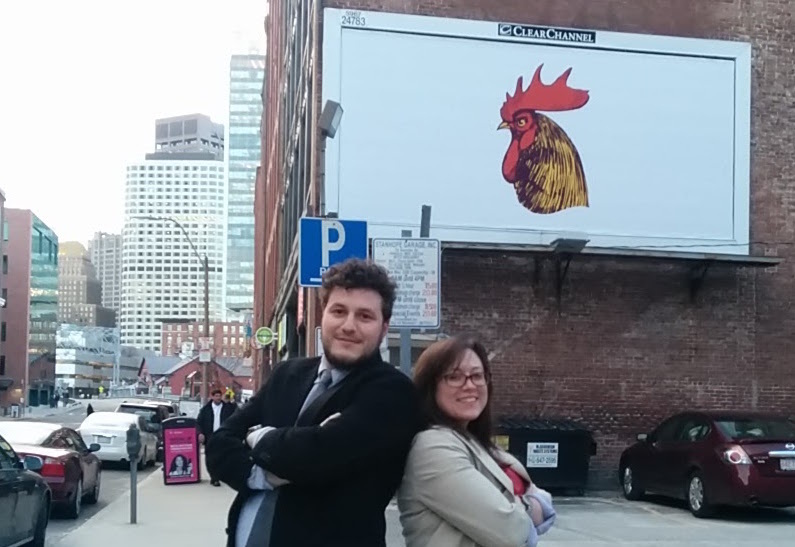 Jory and Boaz in front of the Bocoup billboard, Spring 2014. Jory joined our team in 2011 to run education, transitioned to general operations in 2013, to COO in 2014, and today she will be stepping into a new role leading our team into the market. Jory has had an incredible impact on Bocoup’s development into a mature open source consulting company, and we’re all excited to follow her on the path she has established. Jory is a measured, structured, and network-based creative thinker. Her ability to see five steps ahead has continuously put our business in the right place, enabled us to have impact through our mission, and created a safer, more effective work environment for our team. In her time at Bocoup she’s codified our mission, brought focus and clarity to our strategy, and redesigned our organizational structure to more effectively execute. Coming into our 8th year, Bocoup is moving Jory’s network-based, measured style to the helm. We’ve graduated from the frenetic production style of a young consulting company, and our team is excited to continue moving our mission forward under Jory’s leadership. Over the coming months, I’ll be joining our new VP of Sales, Mary Monat, on the sales team and generally working to support this transition. Simultaneously, I’ll begin working to build our capacity as a research organization, exploring research topic areas, and partnership opportunities.